Two months after launching Chrysler Capital, signs are that the financial services provider focused on Chrysler Group dealers and customers is off to a strong start in an industry rebounding from a years-long recession. Between its debut and mid-June, Chrysler Capital wrote about 21 percent of consumer loan and lease originations at Chrysler Group’s 2,500 dealerships in the United States, the most of any lender. Chrysler Capital, now Chrysler’s preferred finance provider, gives the automaker’s dealerships a stronger lineup of loan choices for car shoppers, and that is showing in the results already. “I consider that pretty strong right out of the chute,” said Reid Bigland, head of U.S. sales at Chrysler Group, according to a report in Automotive News by Larry P. Vellequette. 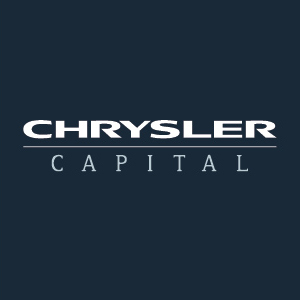 Chrysler Capital was formed by a private-label funding agreement between Chrysler Group LLC and Santander Consumer USA (SCUSA), beginning operations May 1. Santander Consumer USA, a Dallas-based business unit of Spain’s Santander Group, owns Chrysler Capital. Auto finance outstandings are steadily regaining ground lost to the credit crisis, as financiers bolster originations and new players come on the scene, said a recent Auto Finance News report. Loan and lease outstandings climbed 6.4 percent last year, the greatest annual growth since the boom years of 2006 when auto finance outstandings jumped 8.1 percent. The Top 100 financiers originated $398.6 billion of receivables, compared to $367.7 billion in 2011. The sub-prime auto loans industry is forecast to grow over the next five years thanks to rising new-car sales, improving consumer finances and continued strong demand growth from sub-prime borrowers and investors, according to IBISWorld, an industry research firm.